Are Valasquez and Cormier the only two guys in UFC NOT doing steroids? 26-Mar-2013 by THF in Hoot's Corner | Comments Off on Are Valasquez and Cormier the only two guys in UFC NOT doing steroids? If Cain Velasquez and Daniel Cormier are on steroids, they might want to ask for their money back. That’s the gist of the conversation MMA Fighting had with the Ultimate Fighting Championship (UFC) heavyweight kingpin, who thinks of all the people competing in mixed martial arts (MMA), they might be the last two guys to ever be accused of taking performance enhancing drugs (PEDs). His comments were made in the wake of Lavar Johnson’s recent release. “Big,” who also trains out of American Kickboxing Academy (AKA) in San Jose, California, flunked his UFC 157 post-fight drug test (find out why here) and was promptly put out to pasture. 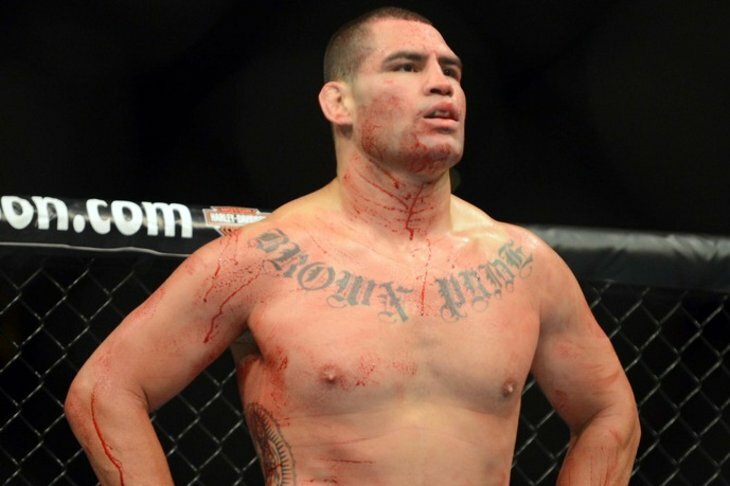 UFC President Dana White has threatened to crack down on fighters who rely on testosterone and “natural” Velasquez, who headlines UFC 160 this May (411 here), is all for it. After all, who needs steroids when you can do things like this?